mastered by artists and bands from places as close as St. Thomas, to places as distant as New Zealand, and quite literally everywhere in between. One such band, 10 Ft. Ganja Plant, a group shrouded in anonymity, has established quite a reputation for dispensing the authentic Jamaican sound. 10 Ft Ganja Plant from the start had many things to say. One was to play the only music they knew how to and to give people something they felt was not heard a lot in the world today- roots reggae. Being collectors of the music they sought out many pieces of vintage equipment to make their records. The album 'Presents' debuted in 2000 and was released independently on I-Town Records. As they continued to build up an arsenal of music they decided to present the material they had recorded on two consumer JVC cassette decks to a friend. In doing so their relationship and family grew by introducing them to the well known record label ROIR (say ROAR). From there it encouraged them to grow as a group of friends, family, musicians and engineers. Signing with ROIR brought 'Hillside Airstrip' in 2001 and introduced many new sounds and musicians to the record. From this point on the studio was like a revolving door of musicians cutting a track and passing it off. 'Midnight Landing' arrived in 2003 reiterating the bands passion for roots deeply rooted in the mid to late 70's. The bass got heavier, the drums bigger, and the melodies stronger. 'Bass Chalice' was then released in 2005. A short break was taken to gather the vibes, build a new studio and lay the foundation for what would become 'Bush Rock' which was released in 2009. Reaching new levels of psychedelic sounds and heavy bass production brings us to where they are now. In talking recently, a few of them seemed to be in the same place of looking back to classic sounds of groups like The Upsetters, Silvertones, Pioneers, Gladiators, Gregory Isaacs, Lee Perry, The Maytones, Burning Spear and some of the greats that graced them such as Ernest Ranglin, Lynn Taitt, Jackie Mittoo, Carlton Barrett, Family Man and so many others. 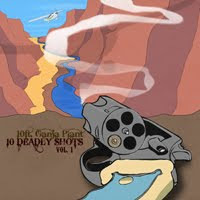 Thus was born 10 Ft's latest masterpiece '10 Deadly Shots, Volume 1', a fitting name for an absolute deadly medley of 10 original, classic-roots and rocksteady instrumentals where the tenor saxophone rides shotgun. 10 Ft. describes the session this way: "It's a cold weekend in February and the Cessna's land. The vibes brew as the room fills, while the bass thumps a beat and the snare drum rings a tune. The chords echo through the room as the smell of analog tape enters the air.....A familiar start to a 10 ft Ganja Plant recording session. We like to keep things fresh, create a vibe, throw around the ideas, write the track, record the track and never play it again. We record almost all of the records live, everyone in one room. The exception would be the occasional vocal, keyboard guitar horn line that was impossible to play at the same time. All of the material is captured by reel to reel 2,4,8,16,24 tracks. During this particular session we were using 8 tracks." '10 Deadly Shots' begins with Bonny and Clyde, a quality rocksteady jam with an Ernie Ranglin-esque guitar complimenting not only this riddim, but a good many of the tracks on the record. Apache Kid has an exceedingly welcome feeling, similar to the little known Marley classic She's Gone from 1978's 'Kaya'. Boomshot! Dillinger again showcases 10 Ft.'s innate ability to craft a superb rocksteady riddim. 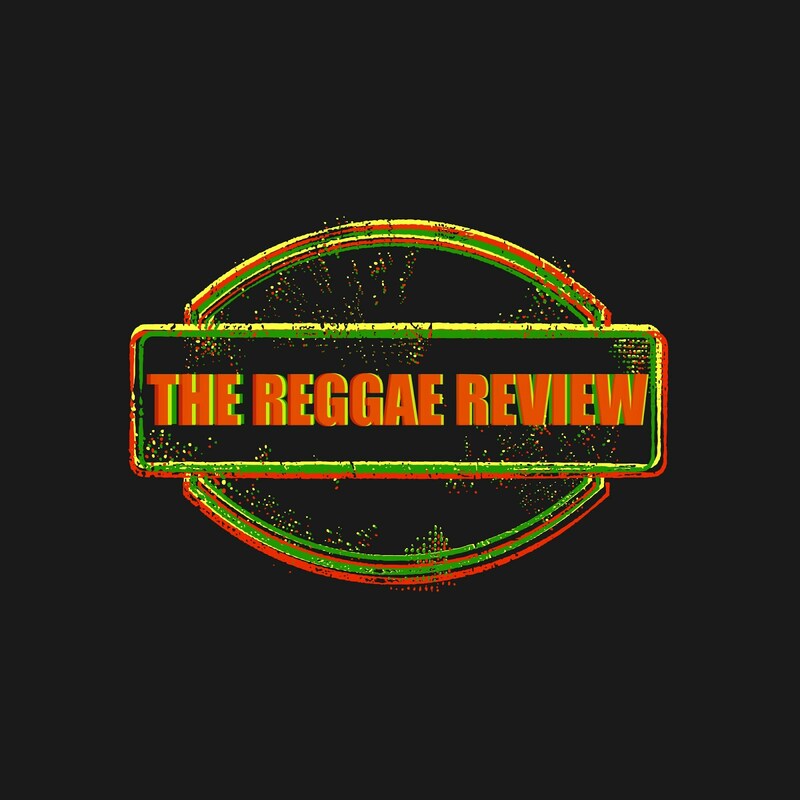 Belle Starr and Machine Gun are both upbeat tunes with a modern touch, proving 10 Ft.'s capable of being innovative while remaining true to the roots-reggae sound. This is an album with absolutely NO filler. Every single track is a gem that will want to be heard again and again. It will make you feel good. It will make you want to rock to the beat. As many a reggae deejay has said: "Music so nice....you haffi play it twice." In this case, you'll play it many more times than that. CRUCIAL!